Among numerous blissful days, wedding day is one of the unforgettable days in every human being’s life. This day evokes the couple of their lovely moments that they spent alone or together. Both husband and wife recall and visualize the exciting feeling that they had, love and affection they received from their friends and family, the wedding costumes they put on, flurry of guests who turned up to bless them, and finally walking down the aisle with each other. Even though they cannot step back in time, they can very well rejoice by viewing the memorable wedding photographs. However, they can behold each and every hilarious moment only if the photographs were clicked making proper timeline. Following a timeline will enable a photographer allot his tasks in due proportion. It helps a photographer to put his activities in order and execute his photography tasks duly with perfection. 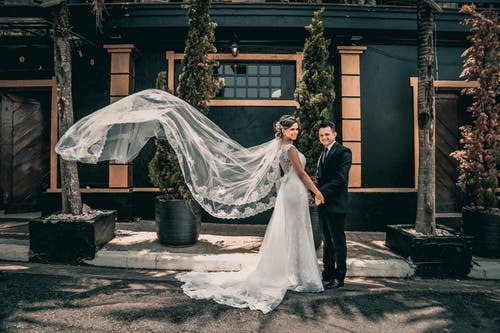 Right from shooting the preparation of the bride and groom all the way until getting married, timeline assists a shutterbug to photograph all the minute details that bride, groom, and other friends as well as relatives look for. This not only motivates a photographer to continue offering his priceless service but also enables him to receive great deal of compliment and recommendations from the client. 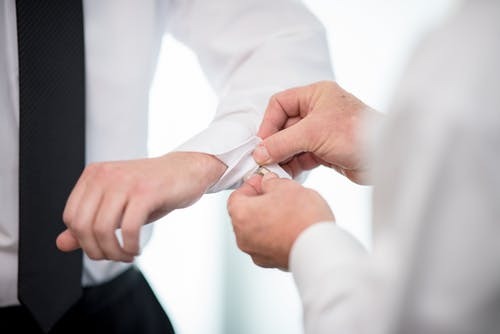 To photograph the wedding ring, costumes, and jewelry, at least 30 minutes should be allocated. The ideal time to shoot them is morning. You as a photographer should focus only on these ornaments to get flawless and gratifying shots. While photo shooting if you face any distracting element or clamorous room or packed room, take the ornaments away from the room and shoot them somewhere in the lobby or any other place. It may dissipate some precious time but ultimately it will be conducive. Both bride and groom take preparation in the morning for their wedding ceremony. They groom themselves with traditional and gorgeous outfits along with applying cosmetics. On top of that, the bridesmaids and groomsmen also adorn themselves on this special day. To shoot this vibrant and reveling moments, at least 60 minutes should be allotted. So, morning is an ideal time to photograph this lovely and festive moments. This time will allow to capture some emotional moments as well. Post wedding preparation, the time is perfect for individual portrait shooting. Both bride and groom dressed up in elegant wedding dresses create a perfect ambience to be photographed. Shoot each of them individually from different angles and you should apportion 30 minutes for this task. This should be accomplished either in the morning or in the early afternoon. Moreover, you can also make bride and groom stand in front of the window to capture the outer view along with them. The couple face each other for the first time during the day time. This meeting requires 45-60 minutes for appropriate photo session and it should be performed in the morning or in the early afternoon. They stare at each other for 5-10 minutes which is a mandatory occasion for photo shooting. Barring that, they will also take different types of romantic pose such as groom holding bride’s shoulder, groom looking at bride with smiling face and bride looking in front with smiling face, both of them kissing each other, etc. These romantic and eye-catching poses must be snapped to produce high-end portraits of bride and groom. In addition, the beautiful scenes around them also come into play for creating enthralling portraits. Apart from getting snapped with each other, the couple also intend to have shots with the family members including parents, siblings, maternal and paternal uncles and aunts, etc. Spare additional 45-60 minutes in the morning or afternoon for that. Formulate specific number of groups and schedule 3 minutes per group. Family especially parents and siblings are the closest to the bride and groom than others and so photographs should be clicked with them as much as possible. 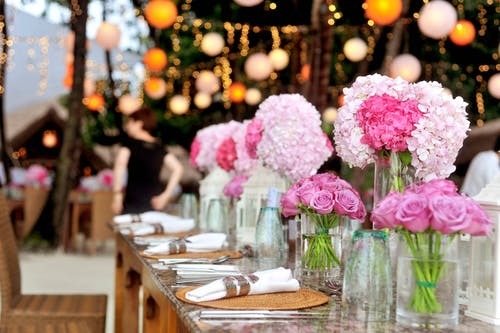 The gorgeousness of a wedding ceremony is reflected through the embellishment of the wedding site. Therefore, it is inevitable to shoot the wedding site before the guests turn up. The wedding lighting, gorgeous furniture, design of accessories, etc. all portray blinding views for top-notch photography. To capture wedding venue, you should spend time in the morning or in the afternoon for another 30 minutes. Make sure to snap each and every ornament of ceremony site. The splendor of a wedding ceremony appears at the time of reception especially when the reception space is unveiled to the bride and groom for the first time. 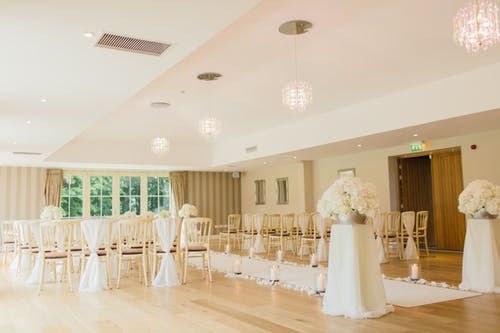 The interior of the reception displays amazing and dazzling look which is perfect for wedding photography. The main attraction of the reception gets visible when the couple assemble and dance with each other solitarily. You should schedule 10-15 minutes to photograph the first look of the wedding reception before the doors are opened for the guests. Taking table shots while guests are seated surrounding their respective tables are very important part of wedding photography. You can either table shoot while the guests are on their seats and having their meal or shoot while they are smiling and embracing with one another. When you are table shooting, you have to shift from one table to another and take close-up shots to get a larger photo output. For capturing in each table, it will take 3-5 minutes and based on that you can calculate the total time needed for the entire session. During the night, couple can depart from their residence for surplus wedding shots. They can go to the areas surrounded by fountains, flowers, trees, or glittery architectures as these will add surplus beauty. The right time to go for night photography is while taking break after dancing with each other on the dancing floor. Moreover, they can also have those shots after the departure of the guests. You should spare 20-30 minutes for doing night photography. Hiring Photographer Lacking Skill and Experience: Many a time, photographers are hired who have deficit of knowledge and expertise in photo shooting. They fail to set the correct camera settings like aperture, ISO, and shutter speed based on the atmosphere due to their inexperience. As a result, they end up capturing shoddy photographs containing imperfect exposure and hazy portions in the images. Failure to Pick the Right Background by the Photographer: Choosing a clear and suitable background is key for snapping photographs. Background should have elements like flower, tree fountain, etc. Complex and chaotic backgrounds like bush tarnish the images. Selecting such backgrounds have no impact in the mind and require background removal service to transform the images into catchy images. Haphazard Group Shots: Taking group shots is not a piece of cake rather it is an uphill task. If you hire an amateur shutterbug, he may not be well versed in taking group photo session. When the family members and other relatives assemble for group shots, it is the job of the photographer to make sure they face at the right direction, remain stable, and maintain smiley and cheerful expressions. Failure to do so will result in substandard photo output. Inability to Capture Details: In wedding photography, it is essential to shoot every nook and corner. The couple as well as other family members always wish to view exciting moments of their wedding ceremony. However, some of the newbie photographers due to their incompetence, cannot pay attention on the details and miss multiple crucial aspects while clicking. Imperfect Composition: After clicking photographs, the most momentous task is organizing the photos perfectly so that the images retain all the necessary elements. However, many photographers fail to execute that for inexperience and lack of understanding. They struggle to straighten the photos and adjust the edges which result in missing portions in the images. The photographs lose both interior decor and exterior and ornaments which causes discontent to the couple and other family members. If you are an experienced or a newbie shutterbug having massive collection of shoddy wedding photographs and you are looking for photo retouching services, Color Experts International, Inc. a US-based company is at the forefront to serve you. With over 30 years of experience, we are one of the pioneers in the field of photo editing and post-processing services. We have 250+ professional photo manipulators who are always committed to fulfill the requirement of the company’s clients. Apart from rendering first-rate image touch-up service at an affordable price, we also offer volume discount depending on the quantity of your order. Our price starts from $49 and if you place an order of minimum 100 images, we will offer discount on it and if the quantity appreciates, our discount will also appreciate and can rise up to 50% on bulk order. We have a facile and hassle-free payment system and you can make your payment via PayPal. We also receive checks from our US clients. We serve clients from different parts of the world and our clients include professional photographers and graphic designers, e-commerce site owners, advertising agencies, magazine publishers, pre-press and printing companies, web designers, catalog design agencies, etc. We have a 3 step quality control process to make sure the optimal quality. Our customer service department is active 24/7 to provide you all sorts of information about our services. We have Free Trial service where you can send up to 2 images to assess our service quality and if you are willing to take advantage our photo manipulation services, send us Quote request and we will let you know about our price package or you can contact us through our e-mail address.